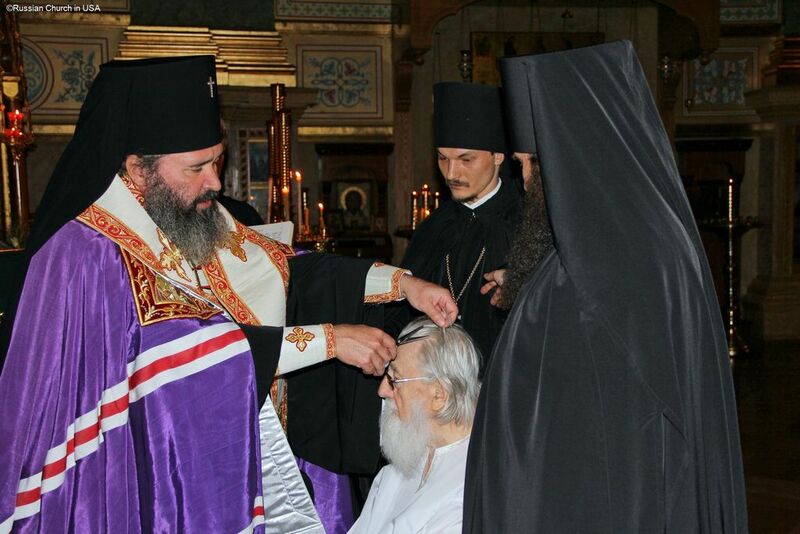 Early Friday morning on May 8th, the senior-most cleric of the Patriarchal Parishes in the USA and pastor emeritus of St. Michael the Archangel Church in Redford MI, Archimandrite Illya (Barna), reposed in the Lord. Fr. Illya was born Michael Barna on July 2, 1918 to family dedicated to service in the church. In World War II, he served in the U. S. Navy in the South Pacific on the battleship “ U.S.S. Colorado”. He received three battle stars for engagements in the battles of Saipan, Tinian, and Guam. He was entered among the candidates for Holy Orders beginning in 1946, when he returned from military service and was tonsured a reader and ordained a Sub-deacon in St. Nicholas Church, Reading, Pennsylvania by Archbishop Adam (Phillipovsky). He continued his ecclesiastical studies at St. Nicholas Cathedral in New York City for a period of four years. On July 1, 1950, Archbishop Adam ordained him to the Diaconate at St. Nicholas Cathedral, New York City, and the next day, July 2nd, Archbishop Adam ordained him to the Holy Priesthood and assigned him to be assistant priest to his father, the Archimandrite Ignatius (Barna) at St. Nicholas Church, Reading, Pennsylvania. On December 17, 1966, Metropolitan John (Wendland) appointed Father Michael Barna as rector of St. Nicholas Church, Reading Pennsylvania, upon his father’s retirement. The following month, January 6, 1967, His Eminence Metropolitan John assigned him as rector of St. Michael the Archangel Church, Philadelphia, Pennsylvania. On January 29, 1969. Fr. Michael and his family took up permanent residence in Philadelphia and continued to serve the St. Michael’s Church there for another 5 1/2 years until his appointment to St. Michael’s Church, Redford, Michigan on August 31, 1975, by then Bishop Job (Tyvoniuk). Fr. Michael, was blessed with the distinction of almost every clerical award bestowed unto a clergyman. On a Bright Friday, 2012, after the repose of his Matushka, Fr. Michael took up his monastic vows and was tonsured with the name Illya in honor of the Prophet Elias by His Eminence Archbishop Justinian. 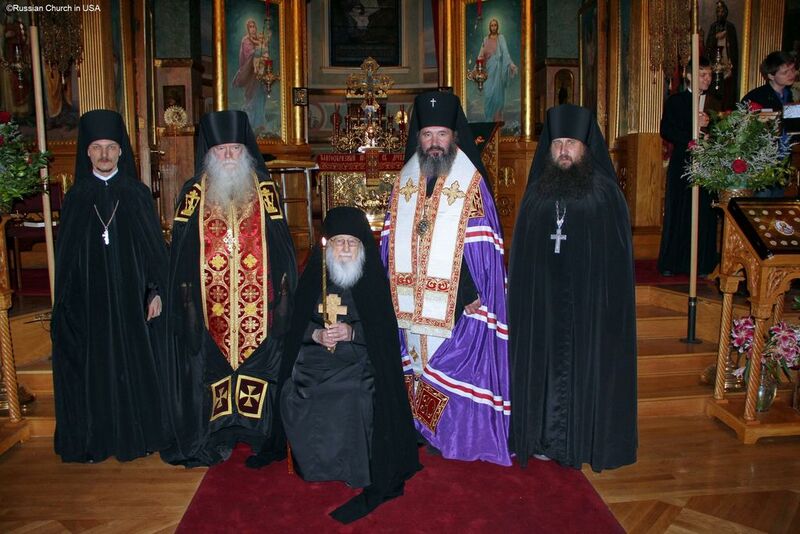 The next day, during the Divine Liturgy, with the blessing of His Holiness Patriarch Kirill, Archbishop Justinian elevated Hieromonk Illya to the rank of Archimandrite.